In this episode, Mike sits down and has a deep conversation with his mother (Eileen Pecci) about raising children, violent movies, visiting movies sets, influencing your kids, and her love of classic cinema. This episode is a heartfelt tribute to great parenting and the people who believe in nurturing creativity. Loaded with laughs...It's easy to understand where Pecci gets his sense of humor after listening to this one! A big thanks to those of you who have signed up for the free trial of audible.com. We will be using that cash to help pay for big subscription expenses. 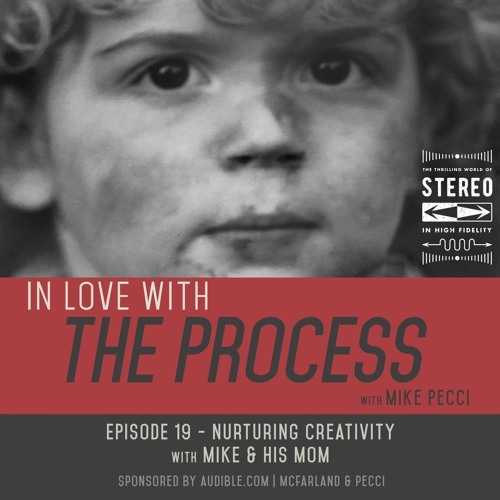 If you haven't done it yet, sign up for a 30 day free trial at http://www.audibletrial.com/InLoveWithTheProcess Each signup sends $15 toward the show.